The perfect 100 Eco version! Made it here after a couple of months… Publishing post number 100!! 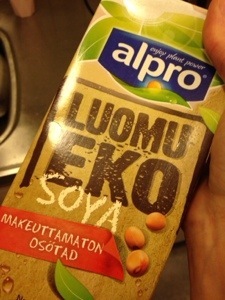 Just drank a glass of Alpro Soy milk Eco unsweetened!! Got it directly from Alpro but Where do I find it in The stores?! It has a really smooth taste… Not as The regular unsweetened one! This is creamier… Wonder what The difference is because Its The same product only that this one is ECO?! Love eco! Everybody Should go vegan and eco!!! Categories: food, life | Permalink. They are Great! 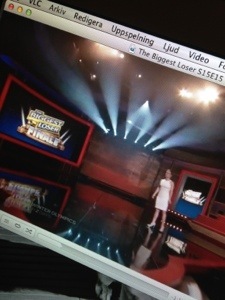 I am watching The final episode and weigh-in!! Holy c**p!! They have lost so Much weight!! I want to fast forward to see The Winner but cant spoil The results yet!!! The look on Marys face with pretty Much everything that is edible in this house!! Waiting and Hoping food Will come falling down on The floor by accident! 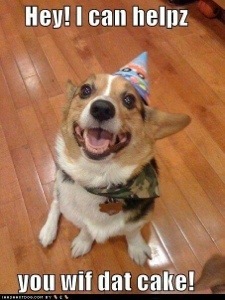 Categories: food | Tags: Cake, Dog, edible, food, hungry, starving | Permalink. Tummy says: Thank you for depositing! I start to notice that food has Been a Hot topic… Haha!! 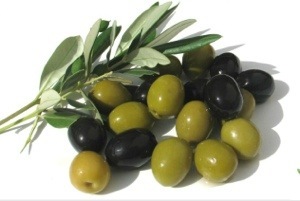 Late night craving for Olives…I know what day of The month this is…Haha!! Some have Said It sounds like I am pregnant by The wild and Crazy food stuffing Going on, but Its only food being guilty of making My stomach grow! 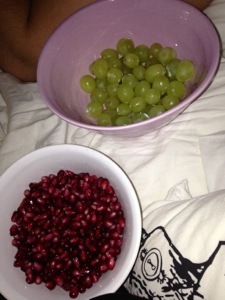 I lost almost 8 kgs in 3 months loosing sweets and unecessary snacking! Haha! Once a month is good! Not Every day! Although I must say that eating regularly with inbetween meal healthy snacks and daily excerise is The best way of Staying in shape! Hungry for Olives…if you are looking You find me by The fridge…Ciao! Stuffing myself full with food! 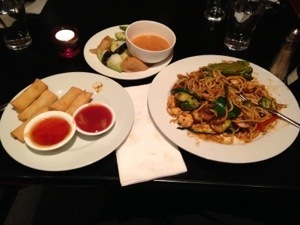 All The food on The picture was gone in 15 minutes! Not good for my diet…at least its vegan! Been to Chinese Wall restaurant in town, make sure you try The combination szechuan, peanut sauce and a small splash of soy sauce for The salt! Add ricenoodles, broccoli, cauliflower, peppers, zucchini, mushrooms and some string beans and shake it all together in The pan for a minute or Two!! Yum yum in My tum! !